The Las Vegas Volleyball Voice Boot Camp class coaches are now offering weekly small group semi-private training Improve Your Volleyball classes on Saturday morning. Sign up now to train with Coach Evan on Saturdays in April, May and June! For small group training (also known as semi private training) class attendance is a strict 6 player maximum. This guarantees a 6:1 coach to player ratio and insures that everyone receives personal coach attention and instruction. Scroll down to read how you can create your own class with one of our Improve Your Volleyball coaches! Or contact us at info@improveyourvolley.com and we will put you on a waiting list. Las Vegas Volleyball Classes Here's How You Can Have Us Coach A Class for You! All of the players HAVE to be the same skill set and must be the same age group. For example in the 11 - 13 age group they must be all be aged 11 - 13 beginners or they can all be aged 11 - 13 players who've had one year of training or two years of training for the intermediate class. A normal class of four players costs $2000. Create your own group of four players and receive a discount of $50 off. Now your group class of four costs is only $1950. A normal class of five players costs $2500. Create your own group of five players and receive a discount of $100 off. Now your group class of four costs only $2400. A normal class of six players costs $3000. Create your own group of six players and receive a discount of $150 off. Now your group class of six costs only $2850. Click here for long term or short term sessions with Coach April. >>Full payment must be completed before first class. >>All 8 sessions must be completed in 12 weeks. >>No makeup for missed group session. For boys and girls aged 9 to 16 who have played (or NOT) volleyball for 0 to six months... not played at all or who have not played on a team and has very little knowledge of any of the six skills used in volleyball. *You must have 0 - 6 months playing experience to sign up. For boys and girls aged 9 to 16 who have played volleyball for six months to one year... play on a local/modified club team or NYS team or school team and have little to working knowledge of at least three of the six skills used in volleyball. *You must have 6 months - 1 year playing experience to sign up. For boys and girls aged 10 to 16 who have played volleyball for one - two years, play on a local/modified team, NYS team and have a working knowledge of 4 - 5 skills used in volleyball. *You must have 1 - 2 years playing experience to sign up. A 12 year US Navy veteran, coach Phil comes from a background in medicine and military discipline. A native born Las Vegan, he started his coaching career at Eldorado High School as assistant coach to the girls varsity team for one season. 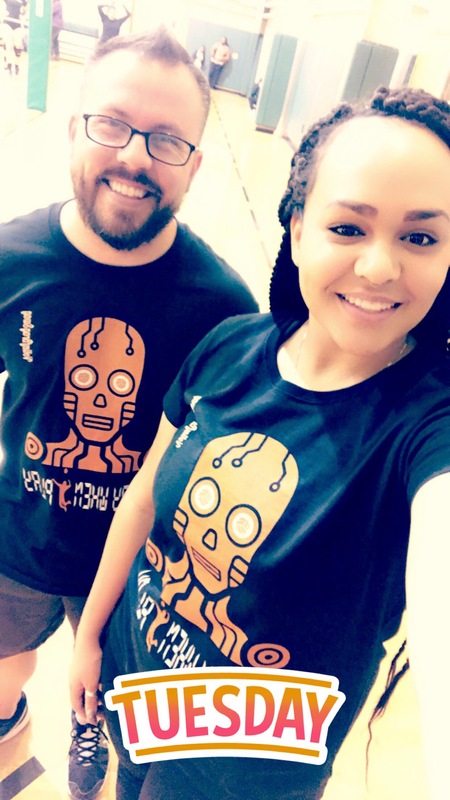 In that same time frame he sought the mentorship of Coach April and under her teachings for 3 years was a volunteer coach for the Volleyball Voices Bootcamp classes. For an additional two years Phil has served (until present day) as an official Head Group Bootcamp coach for beginner and intermediate levels. Coach Phil holds half a decade of coaching experience with the award-winning Volleyball Voices Bootcamp classes learning how to teach and coach the technical skills in a way that continues to produce results and has played an integral part in helping build the award winning classes reputation. 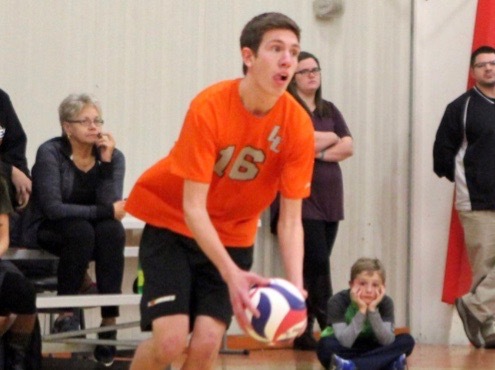 A seasoned coach for the Volleycats Elite Volleyball club, Coach Phil spent two seasons as an assistant coach to the Panthers15s and Tigers15s and one season as assistant coach to Cougars 16s team. Most recently, during the summer of 2017, Coach Phil participated as an Apprentice Coach for the USA Volleyball High Performance Future Select program at UNLV. 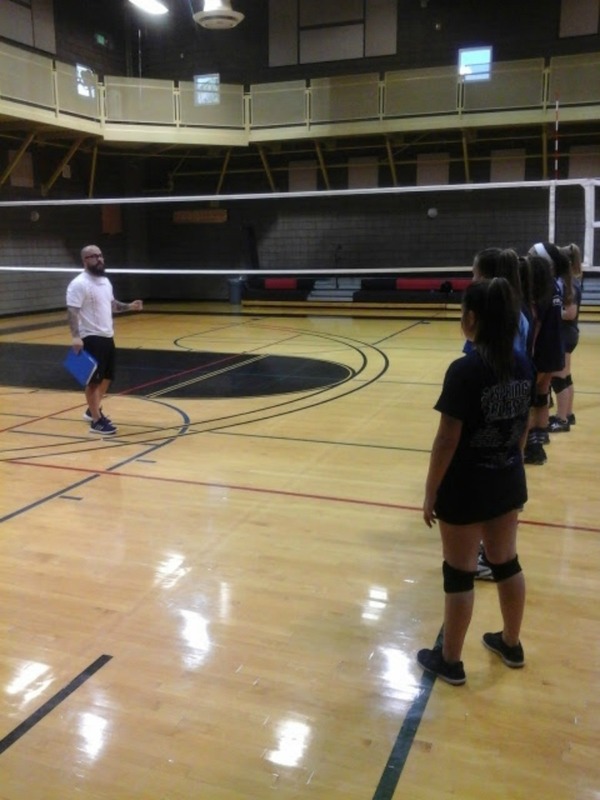 Improve Your Volleyball with Las Vegas Volleyball Coach Phil, Head Coach of the Tuesday Night Volleyball Voice Boot Camp Classes at Mirabelli Community Center! For more info email: info@improveyourvolley.com. Registration is open now, click to register! Here's how to register now to improve your volleyball with Coach Phil this summer. "I'm registering my daughter/son for Coach Phil's Beginner III class on Saturdays at 9:30am." The newest member on the Volleyball Voices Boot Camp staff Coach Tibbs comes with more 2 and a half years of coaching experience with teams from NYS and AAU. He has quickly learned how to integrate what he brings to the table with his prior coaching experience together with the distinctive award-winning coaching style of the Volleyball Voices Boot camp classes. 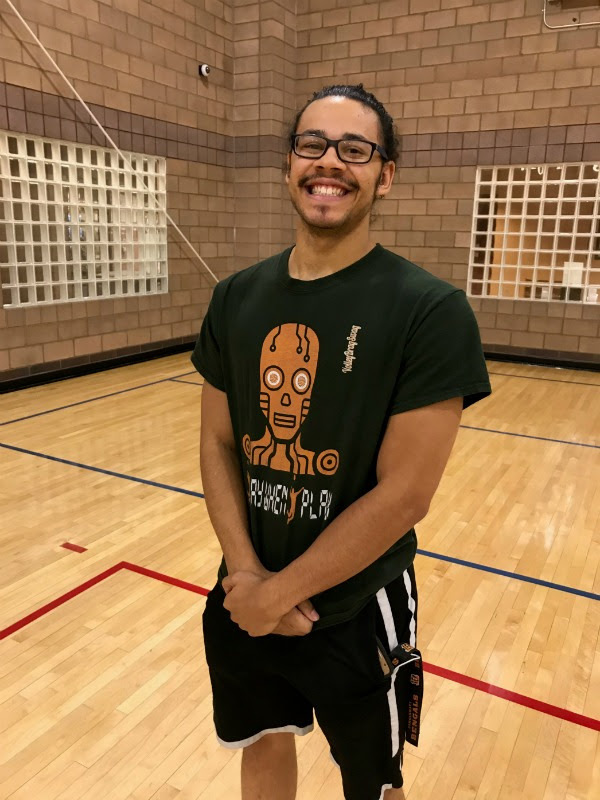 His objective in coaching volleyball is to push and encourage the volleyball agenda of young athletes from Vegas helping them to make a name for themselves in the junior volleyball community. "I like to teach young athletes about learning how to play smarter and quicker while executing proper form to reduce the chances of injury and to maintain great presence on the court." What you should hope to achieve from my volleyball sessions is to come out a stronger and smarter player with the skills and information on playing great volleyball and at the same time helping other teammates and players in the process by sharing your newly acquired knowledge as well. Coming soon.. semi private coaching days, times, and skill levels. Mariah played her freshman season on the B team in 2006 at Cimarron Memorial High School in Las Vegas. Immediately falling in love with the sport, she had to figure out what to do on her offseason. Needless to say club ball was the best option! Vegas Heat Volleyball was the team she was picked for and stayed with for 4 years while climbing the ladder in High School making it to Varsity by her Junior year. In the midst of all that, she traveled to Rhode Island in 2007 to play in the United States Scholar Athlete Games, playing against players from all over the country. Then in 2008 traveled to Europe with the Goodwill Ambassadors National Association of High school scholars, playing in tournaments in London, Paris, and Geneva Switzerland. Once graduating from high school, she attended Howard University where she took a break from volleyball, but returned with a fire and passion for coaching which landed her here at Stupak assisting Coach April with Volleycats Elite VBC. Mariah has completed a full year as a head group coach for Beginner players for the award-winning Volleyball voices Boot Camp classes on Tuesday nights at the Mirabelli Community Center. For more information email: info@improveyourvolley.com. Here's how to register now to improve your volleyball with Coach Evan. 3. Write in the memo section what your payment is for.. Include whether Beginner III, II or Beginner I class, what day of the week and what time ..
"I'm registering my daughter for Coach Evan's Beginner I class on Saturdays at 9:00am." Click here to learn how to create your own class ...coached by one of our Boot award-winning Boot Camp class instructors.